FAGBUG NATION takes you behind the wheel of what it's like to drive the once vandalized, now famous "Fagbug". With six years of touring under her belt, Erin Davies (director and star of the 2009 documentary FAGBUG) has her mind set on getting her car to all fifty states—Hawaii and Alaska being the final two. To pull this off, Erin went fifty-four days without a car, put her vehicle on five boats, and flew on fourteen planes. The Fagbug gets lei'd in Hawaii and drives through the midnight sun to Alaska, but first makes a pit stop at the Equality House in Topeka, Kansas. 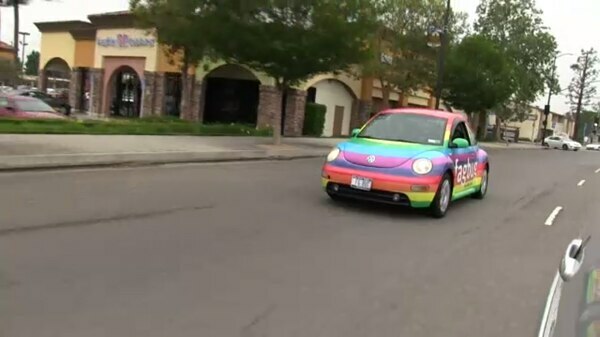 Watch as the titular rainbow striped Volkswagen Beetle serves as a catalyst for our nation to hit the road to equality.